Buying a house and settling down in life is perhaps one of the dreams shared by most people. It will be difficult to find an individual who would not like to stay in his/her own house. However, the prices of apartments, flats, villas etc. are very high in most places across the country. Hence, most people cannot afford to purchase a house for themselves with their annual income or savings and they have to apply for a home loan to purchase the house that they desire. These days, there are numerous private and public sector lenders in India who offer home loans to consumers. In order to be eligible for a home loan, people need to have a good credit score. However, many a times people do not do not have a good credit history as they fail to pay off their debts due to financial troubles. There is no doubt that people with bad credit find it very difficult to get a home loan. The banks and financial institutions consider them as high risk and are reluctant to offer them with credit. Hence, such people have to look for alternative ways through they can acquire the required finances for buying a house. Even though it is difficult, it is certainly not impossible to get a home loan with bad credit. If you have a bad credit score, the first thing you need to do is try to pay off your debts so that your credit score will be improved in the long run. If your husband/wife has a good credit score, you can apply for a home loan jointly with them as it will increase the chances of getting the loan approved. If you have defaulted on a loan or credit card, reach a settlement with the bank or financial institution and pay off the settlement amount and obtain a No Objection Certificate (NOC). When you have obtained the NOC, it will be easier for you to apply for a home loan. Besides, make sure to check your CIBIL score to ensure that there are no discrepancies and that it correctly reflects your up-to-date credit history. The best way to get a loan with bad credit is to approve the bank with which you have savings account and deposits. As you have been their loyal customer for a while, they will be more likely to offer you with a loan. Also, it will be more advantageous if you have a substantial amount of assets with them in the form of account balance, Recurring Deposits and Fixed Deposits, etc. They are more likely to offer you with attractive interest rates as well. The different advantages of bad credit home loan are listed below. It will help you to obtain the required finances for purchasing the house that you desire. It will offer you with the flexibility of paying off the loan amount through easy monthly installments (EMIs). It will allow you to pre-close the loan and pay off the total loan amount by making a lump sum payment. It will help you to improve your credit score, if you make the EMI payments on time. The biggest disadvantage of opting for a home loan with bad credit is that you will be required to pay a higher rate of interest on the loan. Moreover, the fees and other charges associated with the loan will most likely be higher for you. Given the fact that obtaining a home loan with bad credit is very difficult, these disadvantages can certainly be ignored by the borrower. The alternative is to apply for a loan only after improving the credit score but that can take a long time. A bad credit home loan will surely offer you with a lot of advantages. However, it does come with a lot of risks. If you do not make the payments on time your credit score will become even worse and you might find it impossible to obtain credit after that. Hence, you will need to be very careful and ensure that you pay the loan EMIs on time, without fail. You can opt for auto-debit and keep your bank account funded in advance so that the EMI can be automatically debited every month from your bank account. How can I calculate the EMI for my home loan? You can take advantage of the EMI calculator available on Bankbazaar.com to calculate the EMI for your loan. Just provide the required details (interest rate, tenure etc.) and calculate the EMI in seconds. How is the interest rate calculated for bad credit home loans? The interest will be calculated based on your credit history, total assets and liabilities, annual income and other relevant factors. What are the documents required when applying for a home loan? The documents required will vary from one lender to the other. In most cases, documents such as address proof, income proof, identity proof etc. are required. 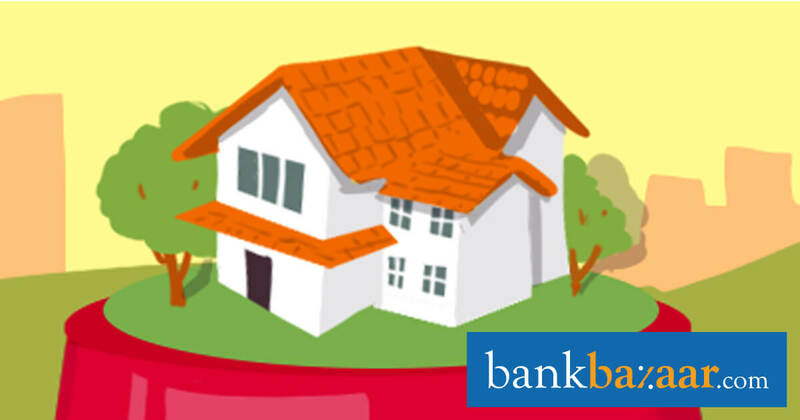 You can apply for a home loan online on Bankbazaar.com. Under loans, click on ‘Home Loan’ and then you can apply for home loans with any of the bank/financial institution of your choice. How can I enhance my eligibility for home loans? To enhance your loan eligibility, you can apply for the loan jointly with your spouse or children, provided that they have a steady income and a good credit score.